Facebook didn’t roll out a Google Reader replacement at its press event last Thursday, but the company may still be hard at work on a newsreading app. The world’s largest social network is reportedly developing an application called Reader that lets you view news in a highly visual format. Reader will be targeted at mobile devices and the latest iterations of the app look similar to Flipboard, according to The Wall Street Journal. The Journal said Facebook has been working on Reader for more than a year, but it wasn’t clear when the new app would get released or if it ever would. With the clock ticking down to July 1 when Google will shutter its dwindling yet beloved RSS feed catcher, Google Reader, it would make sense for Facebook to get its Reader out the door this week. But Facebook may not be jostling for a seat at the post-Google Reader table along with Digg, Feedly, AOL, and many others. For news consumption, many people turn to the Web, download branded apps from their favorite news source such as the New York Times or USA Today, or find links on social networks like LinkedIn, Twitter, and Facebook. For anyone who wants an aggregator, there are visual apps such as Flipboard and Pulse that pull links from Twitter and Facebook feeds. Facebook’s reported push into newsreading appears to fall into this latter category of aggregation apps, especially since other social networks are already playing this game. 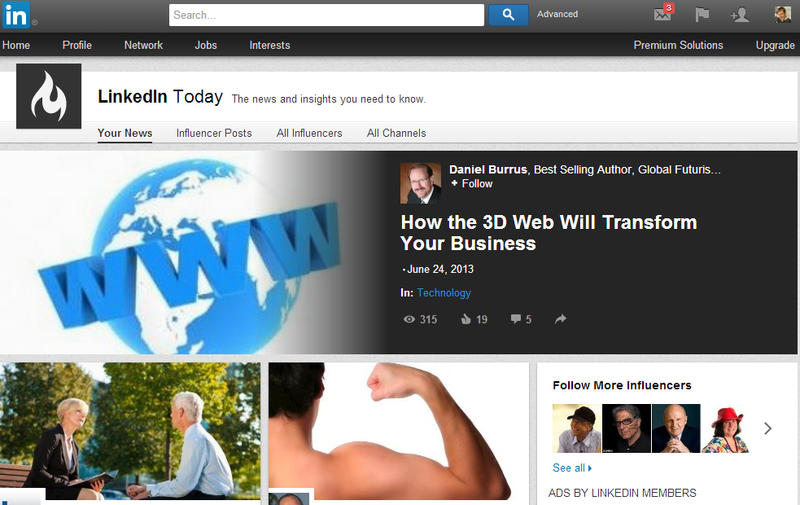 LinkedIn recently purchased Pulse, and the professional social network has been focused on newsreading for some time. The popular LinkedIn Today feature offers users personalized news feeds based on topic preferences, and LinkedIn’s main news feed is often filled with people sharing news links. Not content to let other social networks offer something that Facebook doesn’t (see Instagram vs. Vine), Zuckerberg and co. may be hoping to keep a top LinkedIn attraction at bay. Monday morning headlines in Washington Post Social Reader. Facebook’s attempt to jump into newsreading could be problematic. The company already tried to become a place to read news with its social reader push in 2011. Back then, major news sources such as The Washington Post, The Guardian, and The Wall Street Journal offered social reading apps that let you read and share news articles inside Facebook. But things started turning sour for social readers last year. Now they have all but disappeared. Currently, the only social reader left standing is the Post. There’s also the question of whether news sources would be willing to play along with Facebook’s rumored Reader effort. Facebook would no doubt want to insert ads into Reader as the company searches for new ways to make money and satisfy investors. News sources, meanwhile, would be reluctant to let Facebook and its massive audience make money off their content without some kind of agreement. That could be solved if Facebook simply drives traffic to those news sites as it does now with links inside of a user’s news feed. But news organizations tend to be fickle about how their content is presented inside third-party apps. The New York Times, for example, only allowed Flipboard to start carrying its content last June. Regardless, there’s little doubt that Facebook is an ideal platform for newsreading. “It does make sense that Facebook try new products because so much information is shared on the social network,” Blau says. Anyone can follow their favorite news sources on Facebook to get links to the day’s popular and important stories. Facebook also offers interest lists for people who want to follow a large number of news sources at once. The only question is whether users will use Reader if (or when) it debuts. If Reader is built into the primary Facebook app, that seems more likely; however, adding yet another feature into an already bloated app would not be ideal. Then again, a secondary app that users need to download separately may not see that much traction. Facebook certainly has the audience and links to news content already inside its social network. We’ll have to wait and see if Facebook can execute and turn that potential into a feature that draws readers in every day. 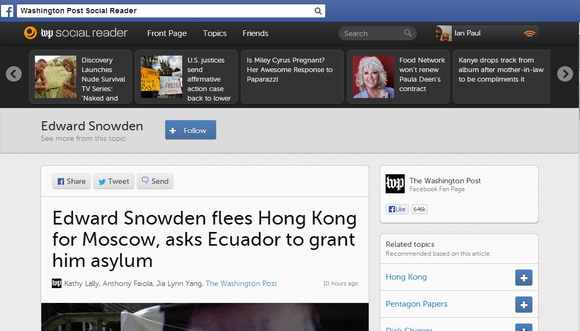 This story, "Facebook might jump into news with rumored Reader " was originally published by TechHive.